Whether you’re stocking a bookshelf in a classroom, library or at home, Best Books for Kids & Teens is your guide to the best new Canadian books, magazines, audio and video that have been handpicked by expert committees of teachers, educators and librarians from across the country. Our magazine is packed with reviews for recommended books, author and illustrator interviews and profiles of publishers and bookstores. Released quarterly, Canadian Children’s Book Newskeeps readers informed about the latest in Canadian children’s books. Available through membership or by subscription. 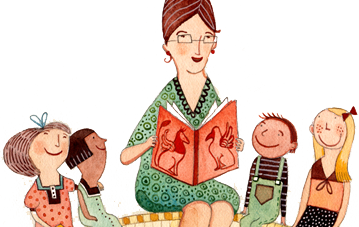 The CCBC’s Educators’ Newsletter is a free monthly e-newsletter with themed book lists, classroom activities, author/illustrator interviews and lots more! Interested in writing or illustrating children’s books? Our bestselling kit includes Writing and Illustrating Children’s Books: A Guide to Getting Published, which includes information on submitting manuscripts and portfolios, copyright procedures, and the children’s publishing industry, an annually updated list of Canadian children’s book publishers accepting unsolicited manuscripts and artwork and other resources to help you get your work published. Celebrate Canadian children’s books during TD Children’s Book Week and all year long! Book Week materials include a poster to hang in your classroom or library; bookmarks to hand out to your students; and a free online theme guide, which lists Canadian children’s and young adult books, and is packed with activity ideas for using these books in the classroom or library. Our theme guides are packed with book recommendations and activities to help you use Canadian books in your classrooms and libraries.